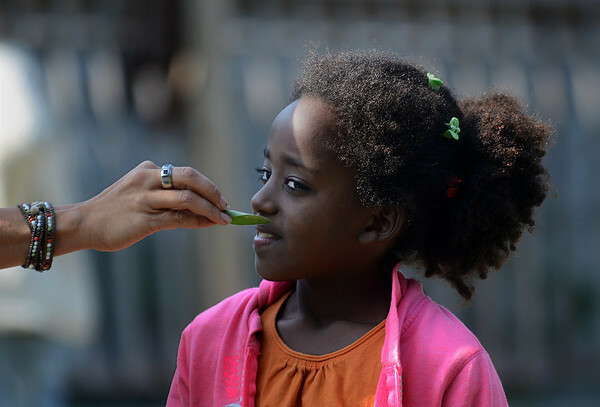 Second grader Bezzie Strong-Whitehead smells an herb held out by her teacher Carol Hedges during Harvest Day presentation Tuesday at Beeman Memorial Elementary School in Gloucester. Students helped harvest crops they had planted earlier in the year, including potatos, beats, beans and squash. The program is a project of the Backyard Growers organization directed by Lara Lepionka.